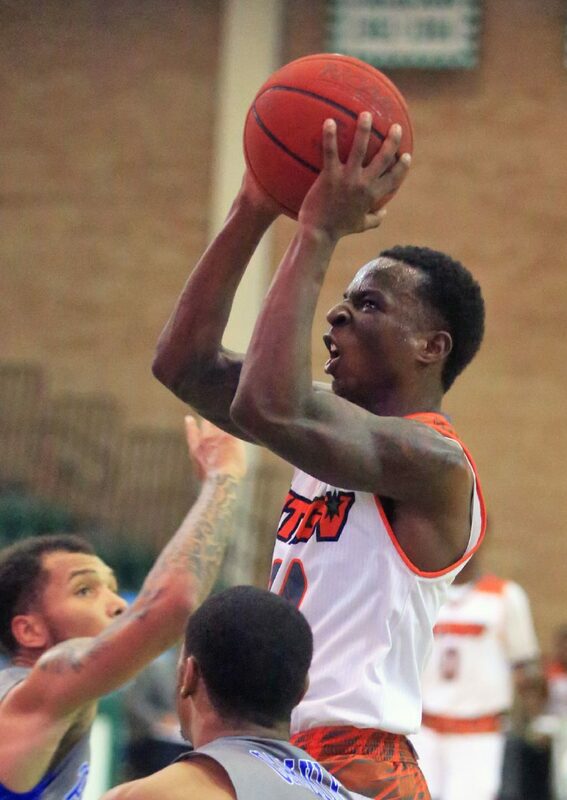 EDINBURG — UTRGV point guard Javon Levi remembers facing a lot of traps in high school. As the only reliable ballhandler on his team at Kileen Shoemaker, Levi said he often tried to do too much, leading to turnovers. Levi said he has much more trust in his teammates at UTRGV. When a trap comes, Levi can simply kick the ball to the open man rather than attempt a fancy dribble move. The straightforward approach has led Levi to a WAC-best 2.8-to-1 assist-to-turnover ratio overall and a 3.8-to-1 mark in conference games entering UTRGV’s matchup against UMKC at 7 p.m. Thursday in the UTRGV Fieldhouse. UTRGV coach Lew Hill said he wanted to see Levi pace the WAC in assists and steals. Levi ranks fourth in the league in assists at 3.8 per game and is tied for 10th in steals with 1.2 per game. Counting only conference games, Levi stands third in the WAC with 4.2 assists per game and is second in steals with 1.6 per game. He has also posted 3.7 points per game this season, and Hill said Levi has devoted extra time in the gym to trying to develop as a scorer. Hill said Levi occasionally tried to do “a little too much” early in the season, before he had fully adjusted to the speed of the college game. Still, Levi’s primary focuses have always been on passing and defense, he said. As the season has progressed, Levi has learned to make decisions more quickly and picked up on nuances like throwing passes overhead or with his outside hand to prevent turnovers, Hill said. The smallest player on UTRGV’s roster at 5-foot-10 and 165 pounds, Levi said he hasn’t felt much physical wear and tear despite a series of long road trips and UTRGV’s blistering pace of play. Many coaches speak of freshmen hitting a metaphorical wall at some point during their first season, and Hill said Levi’s tough stretch came during the middle of the year. Levi said most of his assists have come from driving to the basket, drawing a commitment from a secondary defender and then finding the open man. He also credited the spacing in UTRGV’s offense, which fellow point guard Lew Stallworth highlighted as a major factor in the team’s success. Levi has averaged 22.9 minutes per game across 25 games and 18 starts, while Stallworth is posting 19.6 minutes per game across 25 appearances and five starts. On the year, Stallworth is averaging 5.0 points per game and ranks just behind Levi for the team lead with 3.7 assists per game. His 2.3-to-1 assist-to-turnover ratio ranks fourth in the WAC. A redshirt junior, Stallworth started 27 of his 32 games last season and averaged 8.6 points and 3.6 assists per game. At 6-foot-1 and 195 pounds, Stallworth aims to bring more scoring and attacking to the point guard position relative to Levi, but he said injuries have kept him from getting into a rhythm. He missed three games in November, one in mid-December and one in early February for a foot injury, a concussion and a stomach virus, respectively. Hill said Stallworth has played a solid, smart game this year while also taking on a leadership role with Levi. In tense situations, Hill said he’s comfortable going to Levi, Stallworth or even redshirt senior Moe McDonald at the point. Stallworth and Levi said that each option brings different skills to the lineup.